A group of shape-shifting runaways from the circus, on the run from genocidal hunters, tries to find a home. 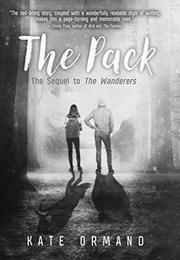 Flo, her boyfriend, Jett, and the other shifters just want to find a strong pack to join. The teenagers (all either white or with no identified race) can all shift into an animal form: bears or tigers, parrots or rats, elephants or horses. The frightened escapees, who’ve lost many of their loved ones to hunters, have been seeking some safe place in the woods. The members of this huge cast (with too many names and animal forms to keep track of) have a wide array of agendas. Should they join the wild pack? The wolf pack? Should they even stay together? After brief dramas, many of these newly introduced characters vanish, never to be heard from again. Finally, Flo and the shifters are captured by hunters, who are in league with the lion who used to run their circus, who’d been betraying them for years and who now seeks to strike a bargain. Further dramatic revelations and betrayals await, of course. There’s no attempt to summarize the events of The Wanderers (2015), and with so many characters, side quests, and double crosses, it’s often difficult to keep track.